The development comprises 4no. four bedroom houses, 3no. three bed houses and a one bedroom apartment with associated parking and amenity space. The site was a former furniture showroom close to the Dee Banks Conservation Area on the outskirts of Chester City Centre. A mix of bespoke house types have been created to generate the most cost effect and appropriate solution to developing the site while protecting the privacy and amenity of the immediate neighbours. 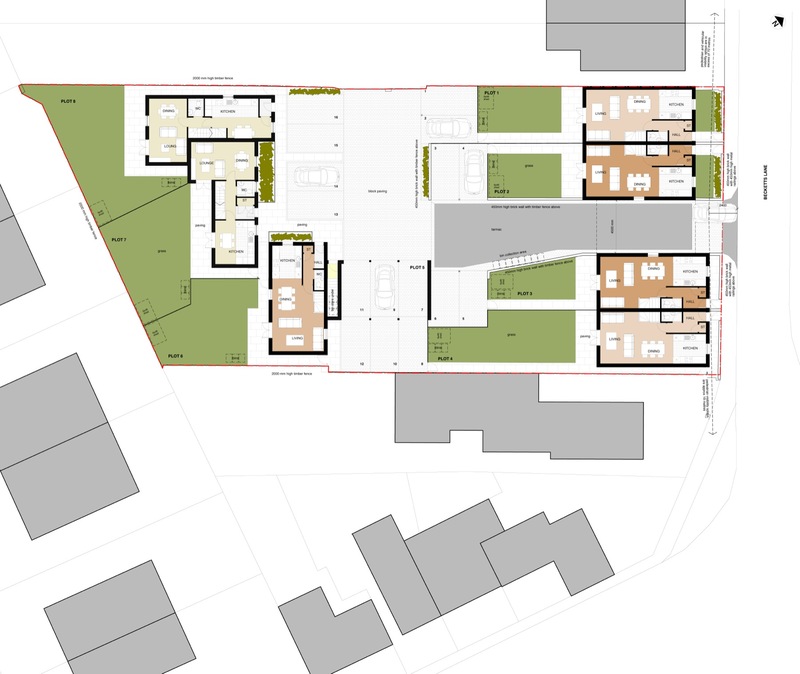 In developing the layout the site as been divided into two blocks of buildings: A row of four houses at the front of the site and a cluster of cottages set around a landscaped courtyard at the rear. The houses towards the front fill the void created by the site and extend the building line along Becketts Lane. 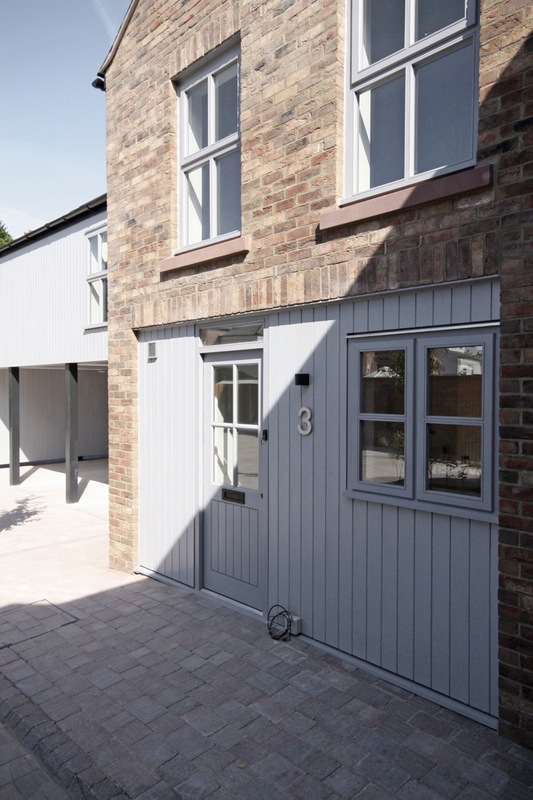 They are constructed from high quality brickwork with traditional timber window frames, precast stone sills and heads and slate grey roof tiles, sitting harmoniously with area’s vernacular, while the proportions of the windows and doors compliment the surrounding historic buildings. 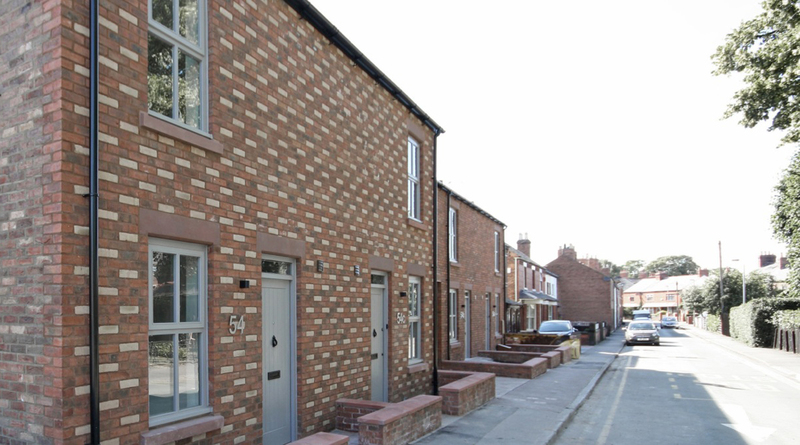 A stepped facade line and feature chequer-board brickwork to the facade of the corner plots provides further visual interest and character to the development. 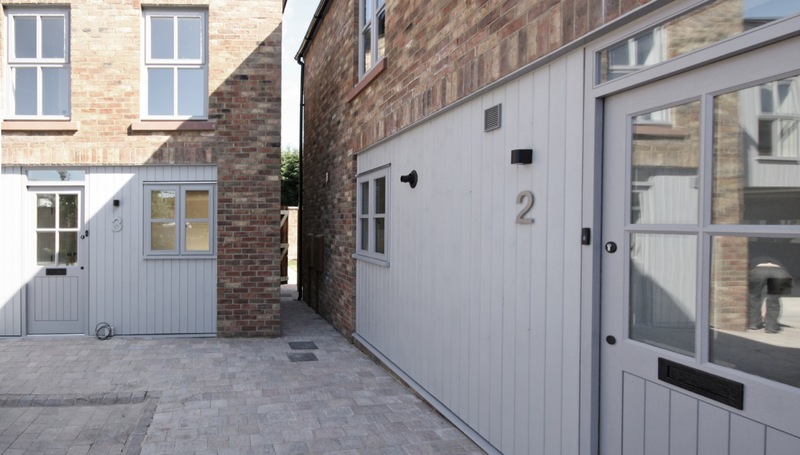 To minimise the impact of additional vehicular traffic from the development on the local area all car-parking is contained within a shared block paved courtyard in the middle of the site. 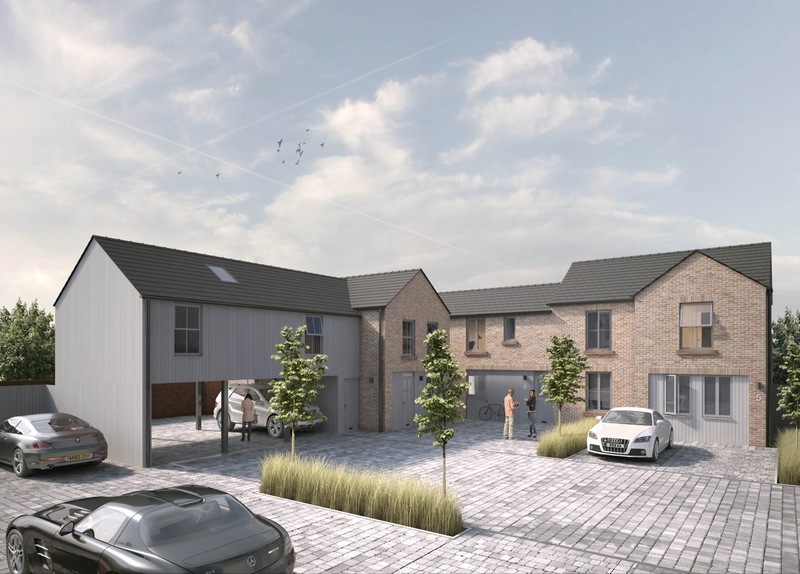 The sixteen parking spaces are accommodated behind fencing and planting avoiding large areas of hardstanding and creating an attractive setting for the houses at the rear. The remaining houses face onto the courtyard from the back of the site. 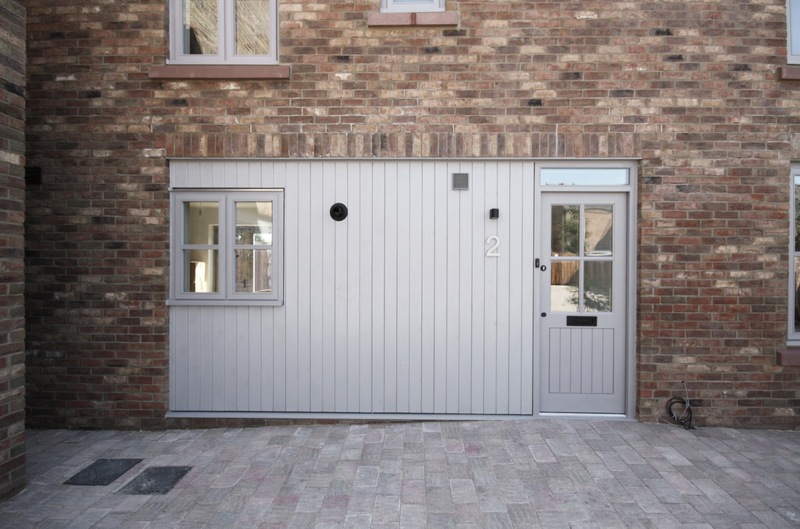 Arranged as a cluster of cottages, they present a varied and characterful frontage comprising a softer brick selection with recessed timber clad wall panels and feature a raised timber clad apartment building which forms an undercroft to further disguise car parking. Each house has an associated south facing garden, with the main living rooms of each plot opening directly out onto the private space. Internally, finishes have been chosen to have a timeless appeal. 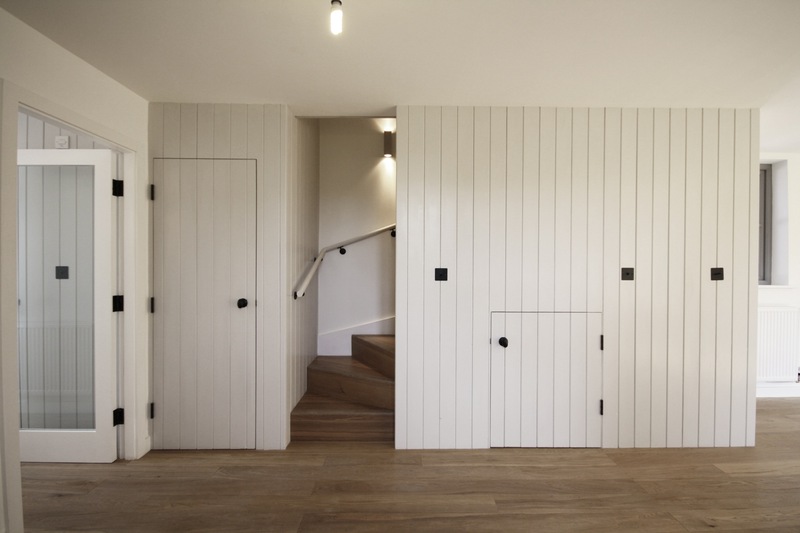 Simple detailing and quality materials including oak flooring and Italian porcelain provide a contemporary background to more traditional elements including timber wall panelling and black ironmongery. Large windows and glazed internal doors ensure that daylight permeates throughout.